Safe Sitter is not just a class. It’s a cause. 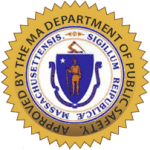 The only national training program devoted to preparing young pre teens and teens to be safe in unsupervised settings, whether home alone, watching younger siblings, or babysitting. We provide medically-accurate developmentally-appropriate and regularly updated curriculum. 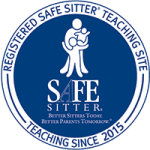 Safe Sitter 1 day with CPR is a 6.5hr curriculum that includes CPR. The business sections are condensed to include infant and child CPR. It also includes Child care essentials, safety for the sitter, injury management (first aid), preventing problem behavior and care of the Choking infant and Child. The child must be at least 11 years old to attend this course.